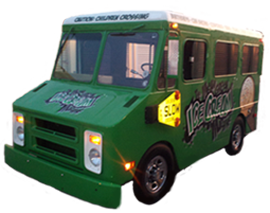 So how did the Mean Green Ice Cream Machine start out? 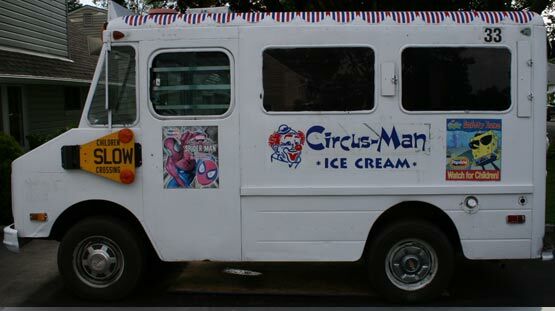 Just like any other original Good Humor ice cream truck. A 1975 model was purchased and had seen better days with years of use on it. But under the rolled-on white house paint was a strong 'machine' that had served for over 30 years. 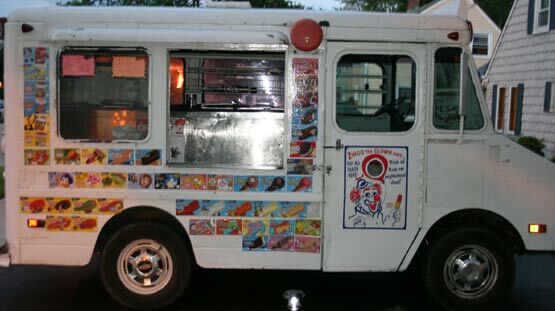 Using an actual ice cream truck made by Chevrolet and International from the factory was one of the most important decisions made. 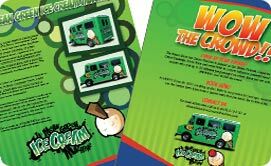 Many companies use old postal vans, delivery trucks and other types of vans retrofitted to be an ice cream truck. 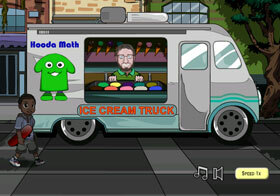 Ours is an original Good Humor truck meant for mobile ice cream treats. The 'Machine' was sanded down to bare metal and brought back to life with a bright green paint. Many of the holes, rust and problem areas were addressed which resulted in a fantastic look. We almost did not want to add the graphics to detract from the awesome paint! 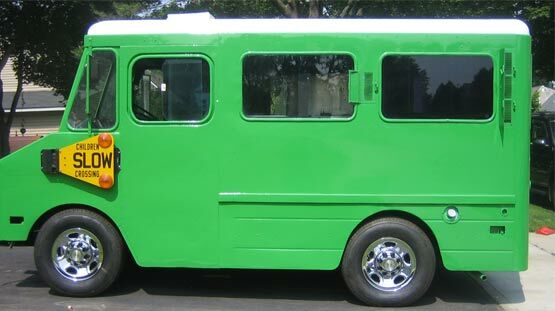 Professionally designed artwork added to the look of the 'Machine' with logos and graphics. A customized sound system was also added along with many mechanical upgrades to make the 'machine' operate in top shape. But this was not nearly enough. Inspired by lowriders everywhere, the truck underwent a transformation with hydraulics installed allowing it to bounce around the neighborhood. 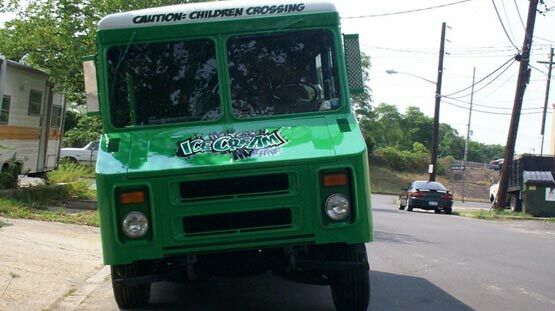 People stare in amazement as to seeing an old ice cream truck with hydraulics! See what the hydraulics can do? 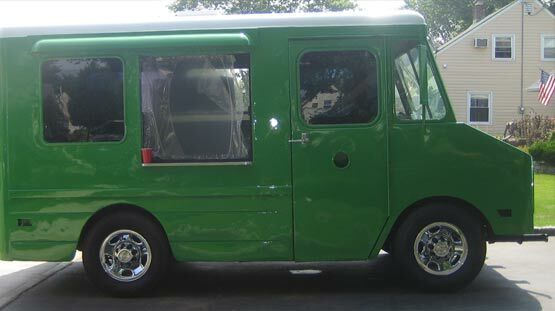 People cannot help but watch the truck as it glides around in many different configurations: front up, rear up, pancake, see-saw, and side to side. Ten switches operate the hydraulics...ask us to show you a little demo or check out the Channel 4 news video on the right side of the page showing us in action. 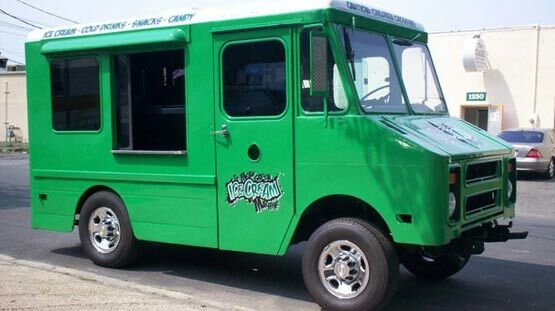 Are you ready for the coolest Nashville ice cream truck rentals 'machine' to show up at your event? 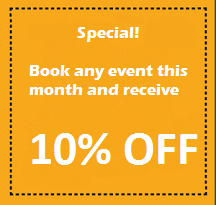 Call us now - (615) 212-5151.